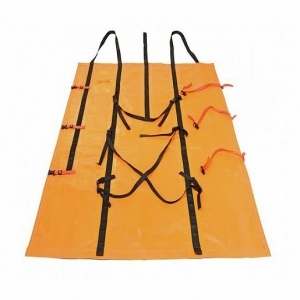 No longer will you have to worry about straining yourself to get your deer out of the woods – even when you’re alone! You won’t have to be concerned about dragging your deer over obstacles that will catch it and stop you dead in your tracks. Additionally, you won’t have to worry about the hair on your deer being rubbed bare to the hide. All these concerns will no longer be a problem when using the Game Sled™. Since the Game Sled™ weighs only six pounds, it’s easy and convenient to take on any hunt. The Game Sled™ has a footprint of 70 inches by 54 inches which and is designed to handle game up to 400 pounds and can be used by a single hunter or two! 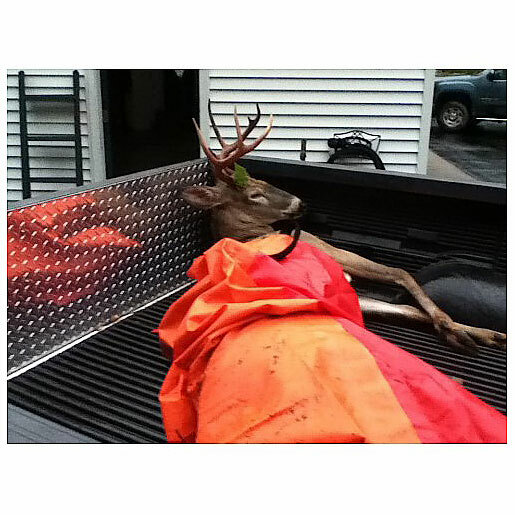 You can drag your deer with the handles provided, or you can use a tree stand safety belt harness that will not only add more distance between you and your deer, but will also allow for enhanced balance. In its stored state, it rolls up to 6 inches by 16 inches and comes with its own cameo carry bag for easy transport and storage. Clean-up is simple with a soap/bleach mix and water and you are back in business! As an added bonus, the Game Sled™ can be attached to an ATV and dragged from the woods! This can prevent you from straining your back as you try to lift a 180-pound, or more, animal onto the back of your ATV. 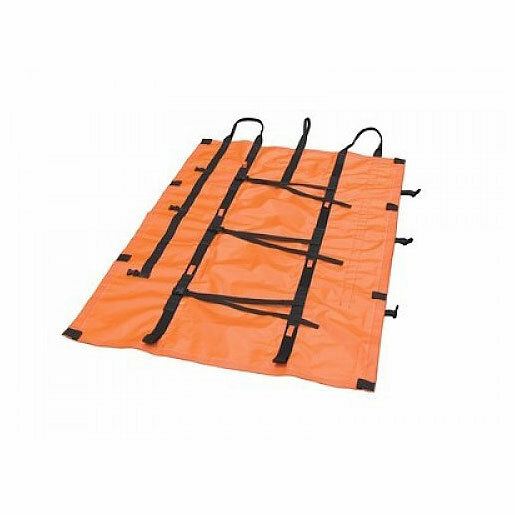 Use the high-tension, sewn-in straps on the outer edge of the Game Sled™ to accommodate poles to transform the unit into an emergency stretcher! 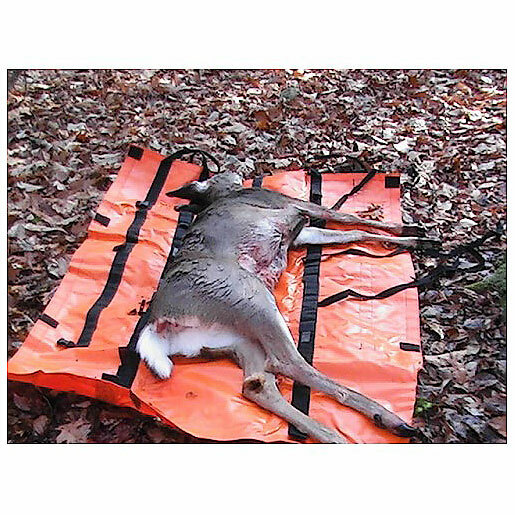 The Game Sled™ is made in highly visible safety orange that provides maximum protection while you remove your deer from the woods. The Game Sled™; makes your next hunt at the time when the trophy needs to be taken from the field, and the harshest time of the hunt, an easy task that allows you to just slide your game over the ground without the hassle and strain! 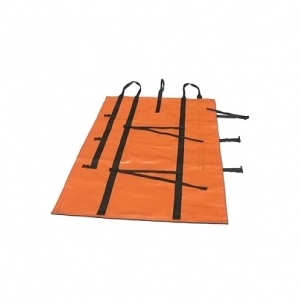 PHYSICAN’s Warning: The Game Sled™ and Game Gurney™ are devices, which are designed to lower drag coefficients. They are not intended to entirely prevent muscular or cardiovascular strain, which may result in serious injury or death.